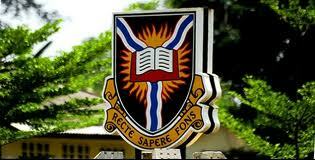 The University of Ibadan, UI Acceptance Fee Payment And Clearance Procedure for candidates who are admitted into the Institution for the 2018/2019 academic session has commenced. WE are using this medium to inform all the candidates who have been offered provisional admission into the University of Ibadan for the 2018/2019 session that the payment of UI Acceptance fees has commenced. Admitted candidates should proceed to the UI admissions portal at www.admissions.ui.edu.ng to pay a non-refundable acceptance fee of Thirty-Five Thousand Naira only (N35,000.00) only, using the approved payment mode. Duly filled JAMB Form 003 (this can be downloaded from the admission portal. Admitted candidates who are yet to accept their offer of admission are hereby advised to proceed to Jamb Central Admission Processing System, CAP portal to do so. You will not be able to pay the University of Ibadan acceptance fee until you have accepted and printed their admission letters. Further information on clearance will be released in due course. Candidates are therefore advised to check the college’s portal from time to time. Important Notice: Candidates are strongly advised not to transact any business with any other person/persons, corporate or any other site other than the University of Ibadan Website: www.ui.edu.ng. For further enquiry, contact the Undergraduate Admissions Office on any of the helpline: 08147031889 or send electronic mail to ugadmissions@mail.ui.edu.ng. The University of Ibadan, UI payment portal will open from Monday, 10th December, 2018 to 4th January, 2019. Please take advantage of it before it is too late.